Kabiru, has been the Project Manager for the Banjul International Airport Improvement Project at the Banjul International Airport since June 2012.He is responsible for managing day-to-day operations of the project in accordance with the loan agreement between the Funding Agencies and The Government of The Gambia in ensuring that the project objectives are achieved. 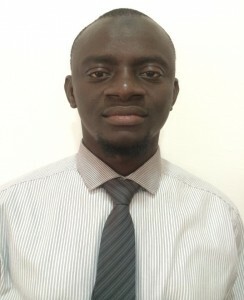 Prior to his current position he was the Civil Engineering Manager from August 2002 to June 2012 at the Banjul International Airport and he was responsible for running the day to day Civil Engineering Section: Aerodrome engineering activities; Civil Works activities; Building and Construction works; Plan, design, implement and monitor civil engineering activities of the GCAA. Kabiru Jammeh received his B. Eng (Hons) in Civil and Water Resources Engineering from the University of Maiduguri, Borno State, Nigeria and his Masters in Infrastructure, Asset Engineering and Management, University of Leeds, UK. He also has a Masters Certificate in Project Management (MCPM), and received the FAA Award’s International Airport Certified Employee (IACE) in 2004.